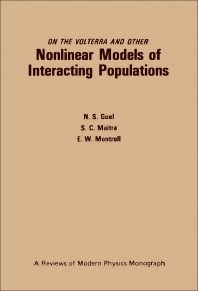 On the Volterra and Other Nonlinear Models of Interacting Populations explores the various models brought upon to investigate the different assemblies known to man. Assemblies include populations of various biological species, countries, and political parties among others. Because there are numerous assemblies to be measured and evaluated, it has been decided that a standard model be used to ascertain a detailed investigation. One of the models that have been brought forward is introduced by Volterra, which started as a basis for ecological processes. The book begins by establishing that Volterra’s model is one of the simplest nonlinear competition models. It explores the model through the study of the population growth of a species. It also covers other theories and concepts relating to the Volterra model in the context of the study. These include equilibrium theory, diversity and stability in ecological systems, and time lags in population among others. The book is a helpful reference for students, researchers, scientists, policymakers, and other parties in search of model/s that fully investigate different assemblies.